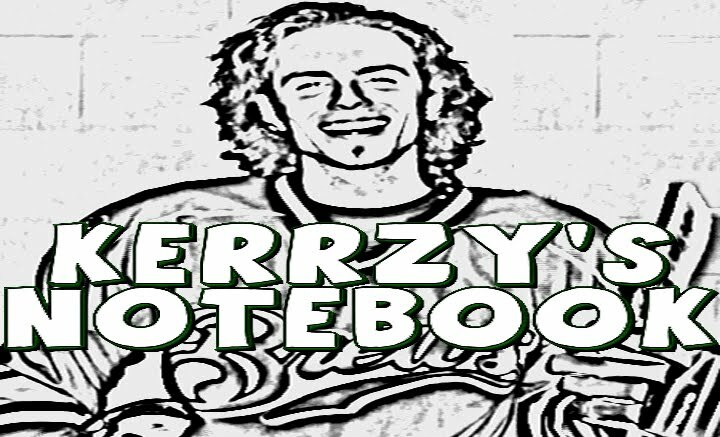 Kerrzy's Notebook: Around the Rinks: Torres on Eberle – Dirty or Clean? Around the Rinks: Torres on Eberle – Dirty or Clean? The NHL has another questionable hit to review after an Edmonton Oilers win over the Vancouver Canucks on Tuesday night at Rexall Place, and it’s a former Oiler who might be getting a phone call from Colin Campbell! With just under seven minutes to go in the third period of what was then a 1-0 game, Raffi Torres lined up Oilers rookie Jordan Eberle in the Vancouver end, drilling him right in front of the ref. The arm went up instantly and Torres was given an elbowing major and a game misconduct, along with a fighting major for the scrap he got into with Ryan O’Marra, who immediately answered the bell for his teammate upon seeing the hit. Luckily for Edmonton (and for Torres), Eberle was okay and said as much to the media after the game. Given that he had just notched his 42nd point of the season earlier in the night, there was some concern that he’d be joining Taylor Hall, Ales Hemsky and Sam Gagner’s Man Band, “New Kids on the Mend,” but thankfully that wasn’t the case. So the question now is, should Torres be suspended? "I knew he was there but I though he had me beat to the puck and I thought he was going to grab it and turn up ice. You get reaching like that and I kind of put myself in a vulnerable position, but at the same time I think he just left the puck and tried to take my head off." That’s the whole issue, isn’t it? If a player is in a vulnerable position, aren’t other players supposed to at least attempt to avoid making that type of contact with them? Well, you may ask, what could Torres have done differently then? I suppose he could have gone for the puck, or at least pretended to go for the puck, instead of committing 100% to hitting a player who didn’t have the puck. There’s always that option! Watch the replay – he could care less if the puck was there for the taking or not. The second thing to consider is that this type of hit is Torres’ bread and butter, and I don’t necessarily mean that in a bad way. A quick YouTube search brings up plenty of examples of great Torres hits where he uses his size and speed, along with deft technique to level opposing players. It also brings up a ton of examples of Torres cheap shots, like a filthy blindside hit on Patrik Berglund, a jumping hit on Max Pacioretty, a clear headshot on Milan Michalek from his Oiler days and another from his time in Edmonton where he clips an unsuspecting David Moss. If there’s one thing Torres can do well, it’s hit. No question. Here’s the issue though – if you are in a vulnerable spot or you don’t see him coming, he’s the type of player who will target you. In this case, rather than go for the puck and turn it up ice, Torres hits a guy who is clearly vulnerable. It’s for that reason that I think the league should probably suspend him for a game or two, just to smarten him up a little bit. Other people are calling for something more serious, but at the end of the day Eberle wasn’t hurt and Torres isn’t a repeat offender. What do you think: Should Raffi Torres face a suspension? 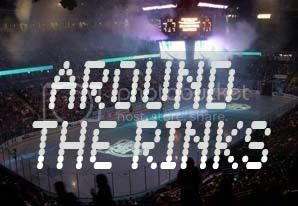 Around the Rinks: Kunitz the new Cooke? Around the Rinks: Let the NHL Postseason Begin! On The Ball: Are Team Sponsors Going Too Far?